While it’s not likely anyone’s mailboxes will be inundated with unsolicited credit cards these days (though it still does happen from time to time), there’s a good chance you’re carrying unused credit cards, not sure what to do with them. Close them or keep them open? Part of that uncertainty comes from not knowing how it affects one’s credit scores. If you’re receiving credit cards in the mail you didn’t apply for, you might want to check your credit report to ensure you’ve not become a victim of identity theft. 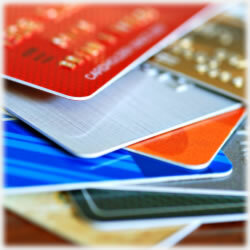 The vast majority of credits cards issued these days come only after they’ve bee applied for. Those days of opening the mail box to discover a new $5,000 credit line are long gone. Better to be safe than sorry – while you won’t be responsible for any charges for unauthorized purchases, you definitely don’t want to spend the next few months getting it sorted out and your credit history re-established. If you applied for a card and received it, only to realize the rate isn’t what you had anticipated, you need to be sure you understand the right avenue to take. It can become a bit confusing, but it’s all about the timing. Regardless of whether or not the credit card has been activated via the 800 phone number on that handle little sticker doesn’t necessarily equate to it not being reported. In other words, just because you don’t activate it, don’t assume it’s not an open account and that it’s not being reported. If, after you receive the card, you no longer want it or need it, the sooner you call the credit card company and cancel it, the less the odds are of it ever being reported at all. That said, we also recently learned American Express uses a different formula. The card company doesn’t report new accounts for one entire billing cycle following an application’s approval. And it doesn’t matter whether or not the card’s been activated. It can be a bit tricky trying to figure out which action will hurt your credit score the least. A closed account can easily (thought it’s not written in stone, so to speak) drop your score several points, even if it is in good standing with a zero balance. Usually, we don’t think about closing those accounts with higher interest rates; in fact, we might think it’s a burden lifted. It is, as long as you can handle the temporary hit to your credit rating. Keep in mind, too, that if you don’t use the new credit card for a period of time, there’s a good chance the credit card company will close it anyway. Card companies don’t like inactive accounts on their books. It’s always good advice to carefully consider what any particular credit card offers before applying, because whether you’re approved or denied, your credit scores will take a hit for the inquiry. It won’t be but a few points, but as we’ve all learned during these tough economic times, a “few points” often determines if a new home loan is approved and if it is, what rates we’re offered. Also, be sure to check the fine print. If you know for sure your credit scores are near the 700 mark and any particular offer states it’s designed for those with “scores above 750”, not only will likely not be approved, but that inquiry will most certainly hit your report. Better to do the research first and then decide. And if you are shopping for a new credit card, be sure to check out the latest card offers from banks around the country. You’re sure to find one that meets your needs, all in one place. The Discover More Card with a 24 month promotional balance transfer might be a great place to start.